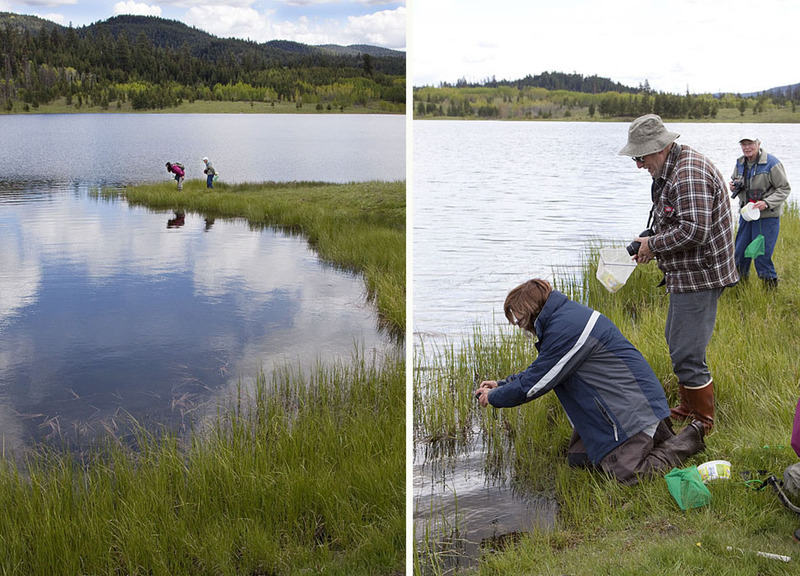 The Nicola Naturalists are active in our third year of mapping and monitoring amphibians in the Nicola Valley area around Merritt. Our season started with a visit by our professional herpetologist partners from Biolinx Environmental Research of Victoria. They led a workshop on 25th May, reviewing our progress so far and adding to our identification skills. After a morning classroom session we headed to Harrison Lake in Kane Valley to see tens of thousands of Western Toad tadpoles swarming in the shallows. The adults can live 10 years or more and have already returned to the forest where they spend most of their lives. How many tadpoles? 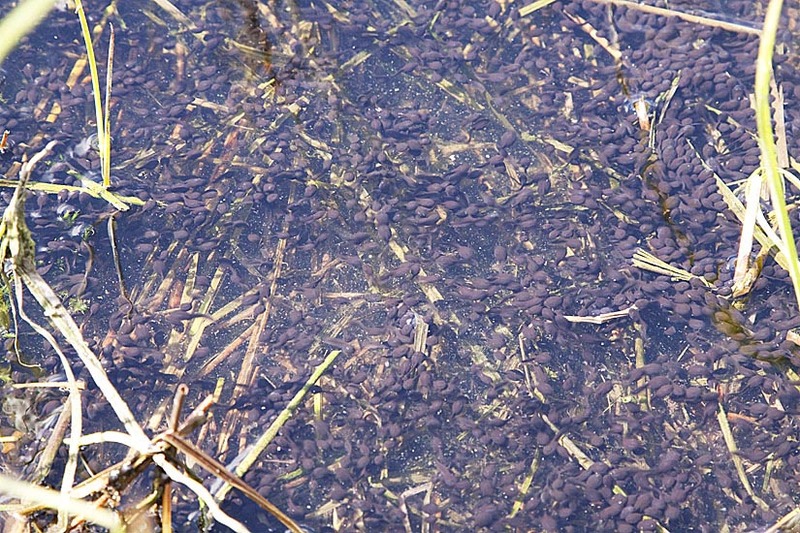 A small part of the huge swarm of Western Toad tadpoles at Harrison Lake. Photo © Alan Burger. We also found Columbia Spotted Frogs and Pacific Tree Frogs. We were delighted to learn that we can once again call them “tree frogs” – for the past few years they have been referred to as Pacific Chorus Frogs. A young Columbia Spotted Frog in the shallows at Harrison Lake, Kane Valley. Photo © Alan Burger. The Biolinx biologists and newly trained NNS volunteers had four busy days visiting wetlands. Some of us joined late night surveys to listen for calling Great Basin Spadefoots in the grasslands along Douglas Lake and Pennask Lake Roads. 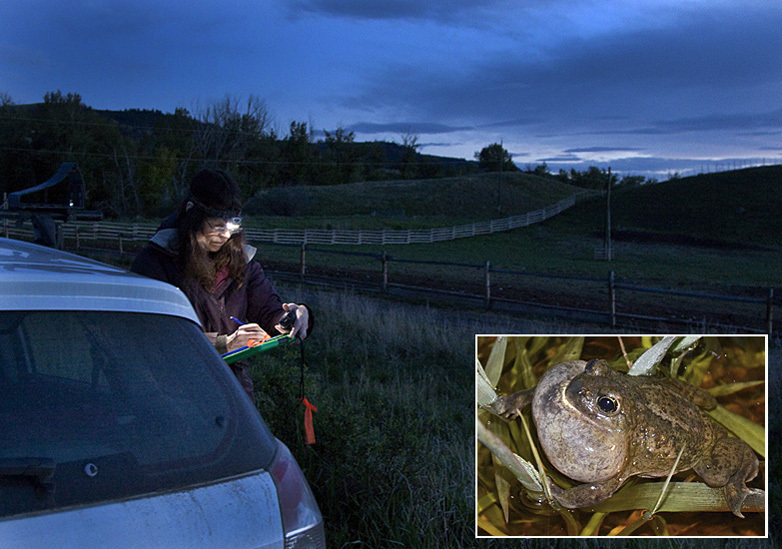 Kristiina Ovaska of Biolinx Environmental Research records Great Basin Spadefoots calling at night along Douglas Lake Road (Photo © Alan Burger). Inset: a calling spadefoot (Photo © Lennart Sopuck). 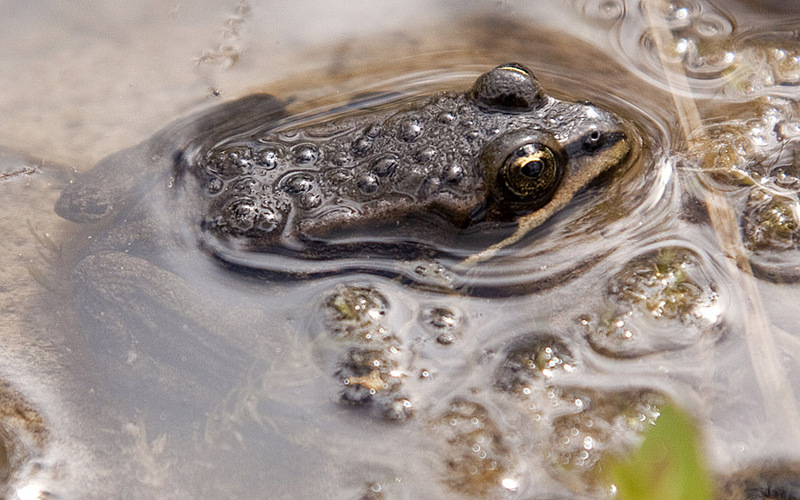 On 5th June Andrea and Alan hosted a group of grade 11 and 12 Biology students from the Merritt Senior Secondary School, who bussed out to Harrison Lake for an open air class in amphibians and birds. They found all three common frogs and lots of tadpoles. One sharp-eyed student found a small egg mass deposited by a Pacific Tree Frog. 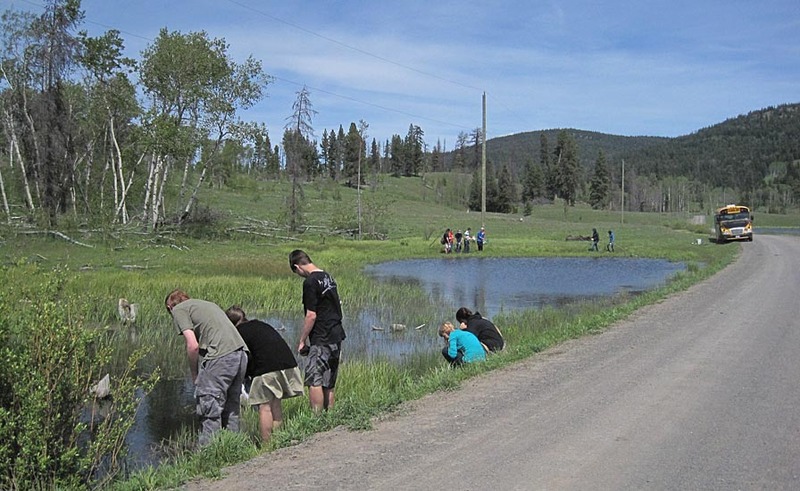 Students from Merritt Senior Secondary hunt for frogs in the Kane Valley near Merritt. Photo: Andrea Lawrence. 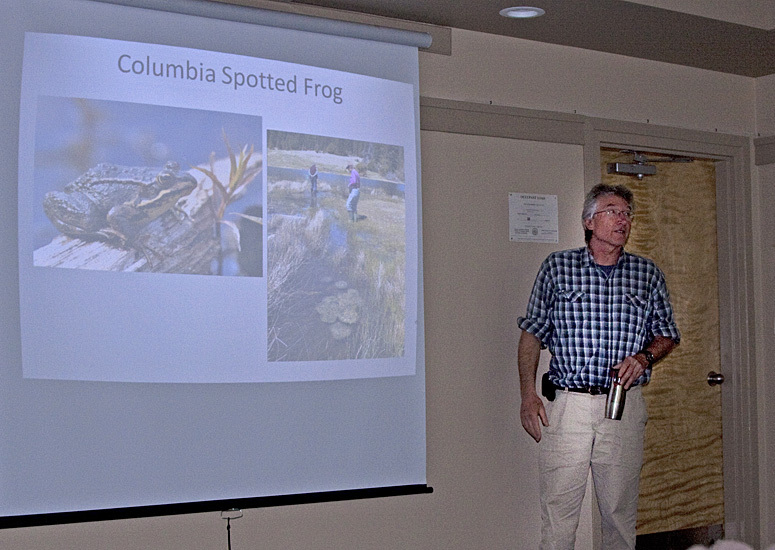 BC Parks has asked us to keep an eye on the Western Toads at Kentucky-Alleyne Provincial Park for another season. These photos from June 6 show some of the thousands of tadpoles clustering in the warm waters of West Pond, with some feeding on clumps of algae. Western Toad tadpoles in the shallows at West Pond, Kentucky-Alleyne Provincial Park. Clumps of algae are their primary food. Photos © Andrea Lawrence.